Interested in real estate investing without the headaches of rentals (no toilets, tenants, or trash)? Are you a landlord tired of vanishing cash flow due to maintenance and vacancies? Love note buying but tired of marketing to note holders that don’t understand discounts? Discover how to create your own notes by selling homes with owner financing! 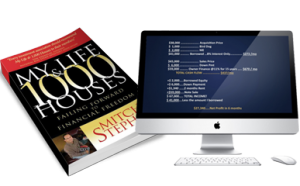 If you want to combine the power of real estate and note investing then you will want to read this interview with Mitch Stephen. His experience with over 1,300 home deals has allowed him to perfect the seller-carry back, an investing technique that takes many of the hassles out of being a landlord while keeping the cash flow. What areas of real estate investing does your company target? MY LIFE & 1,000 HOUSES: Failing Forward to Financial Freedom, is an autobiographical account of how a young entrepreneur morphed into a very successful old entrepreneur. LOL! …With over 1,300 successful transactions, spanning 20 years. In 2015 my company Cash4Houses.NET purchased just under 100 houses. We wholesaled 40%, we retailed 10%, and we owner financed the other 50%. We want to reach that 100 house goal in 2016. 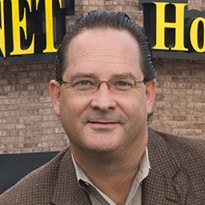 How did you get your start in the seller financed property business? I noticed that the two rent houses I had acquired in my early twenties were making almost as much as my day job was making me. I began to study and read. I bought courses and began applying what I was learning. What unique benefits does your company provide? We provide renters the ability to own their own home for about the same as they are paying for rent…if they can come up with at least 10% down. What type of deals will your company consider and what’s a waste of time? We purchase properties in the affordable sections of town. The perfect owner finance house sets the buyer/owner/occupant an original loan balance of less than $100,000. Talking to people who are NOT the owner. Talking to just one of the owners (instead of all of the owners). Dealing with deal brokers; if they can find the deal you can find the deal! What do you consider the best methods for finding homes to resell with financing? MY LIFE & 1,000 HOUSES: 200+ Ways to Find Bargain Properties. The best method is one that you work every day…so pick one method…or pick five methods…but work them every single day! And those will become YOUR best methods. How do you handle commissions to brokers or consultants? I pay better than normal! I pay them Fast! …the day the transaction goes through! What advice would you give to new investors just starting out in the industry? A). Expect to earn your place over time. Investing is not nearly as glamorous or as easy as the late night infomercial gurus would lead you to believe. If you’re going to quit the first time things don’t go your way, don’t even start. B). Learning how to stay out of trouble is as important as learning to capitalize on a deal. C). It’s all about private lenders…I don’t care which niche you’re in. They run away from the things that worry them the most, instead of running to them. Fear is conquered by action. EXAMPLE: If you’re afraid of writing a contract, then don’t do anything else until you are an expert at writing contracts! I am always preparing for the next recession. Fortunately, the owner finance business booms in the bad times, so, I do not make marginal deals and I keep gearing up to buy, buy, buy when the next recession hits. Why do you prefer the “Owner Finance” strategy over other strategies? Make money when you buy (Borrow a little extra). Make money when you sell (Down Payment). Make money on the spread every month between what you owe and what you collect. Make money when you sell the note. Make money when you collect on the back-end of the note. Make money servicing the note for your partnership with the note buyer. For years the gurus have been telling you the path to wealth is by being a landlord. It’s simply NOT true! It’s a myth! The money you expect on paper never hits the bottom line because you are responsible for almost anything and everything that can go wrong. Landlords that calculate, “I owe out $650/mo, and I’m collecting $1,000/mo, so may cash flow is $350/mo …are lying to themselves! The only landlords that can begin to say they’re making money are the ones that own their properties free & clear – period! As the owner financier you can collect large down payments; $10,000 – $20,000 – $30,000 …anything is possible. As a landlord you’re lucky to get a deposit equal to the first month’s rent. As the owner Financier (The Bank) when you receive $1,000 payment, that is your money! You never have to give that money to the AC man, or the Plumber, or the roofer, or the electrician, or the carpet cleaner, etc., etc…it’s YOUR money! It’s your money because you are owed a payment on an asset your buyer bought from you; you don’t own the house; the buyer owns the house! We offer plenty of FREE STUFF there – you can even get the first 100 pages of my book free! We have a free video on selling homes with owner financing and the option to purchase our book and introductory training for only $7. We also have a free webinar that helps aggravated real estate investors learn The Art of Owner Financing so they can lose the liabilities of being a landlord but keep the cash flow! 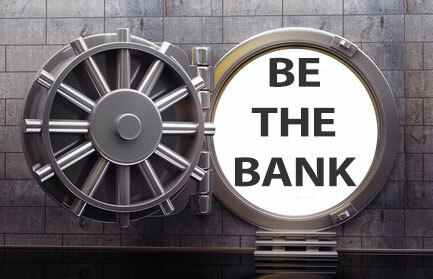 STOP BEING A LANDLORD… and BE THE BANK! No question about it, this is the best strategy for building cashflow in low level investing. I bought the book however I did not receive the video.